Would you like a FREE subscription to the Online Urban Aquaponics Manual (3rd Edition)? 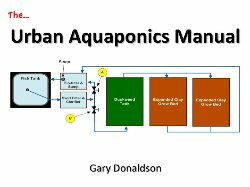 In 2007, when we published the Urban Aquaponics Manual, there was nothing like it anywhere. Since that time, however, about half a dozen books and a host of DVD’s have been devoted to aquaponics. In 2008, we released the 2nd Edition and, in early 2011, we took the Urban Aquaponics Manual online – and created the first aquaponics subscription site in the world. The 4th Edition is in the pipeline, so we’re opening up the 3rd Edition…..absolutely FREE. While our free access offer is without obligation…..we do have a small request of you. We’d like you to leave a comment below about what you liked – or didn’t like – about the Manual. We’d be delighted if you wanted to share ideas or suggestions for things that we might include in future editions. We’d also like you to assist us in reviewing the first few chapters of the upcoming 4th Edition in advance of opening it up to subscription customers. We’ll share those chapters with you in this blog. Of course, while we think you’ll enjoy the new material, you’re under no obligation. In any case, we’ll email you to keep you abreast of what’s happening. To access your FREE subscription….click on this link.